Doctor Terho Kainonen has run several marathons and plans to continue as long as his knees permit it. Like many fellow runners and fitness enthusiasts, this doctor has first-hand experience of various ailments, including severe heel pain, knee problems and tendinitis. Patients usually come to Mehiläinen Neo Sports Hospitals with injuries that restrict their daily lives and activities, and this is one area where we strive to help. “Our typical patient has some kind of injury, pain or dysfunction from which they want relief. We differ from traditional hospitals in that people choose to come here rather than ending up here. It’s not about life-threatening or serious illnesses, but rather about issues that affect quality of life, work capacity or recreational opportunities,” Kainonen explains. At the hospital, Kainonen’s special area of expertise are shoulder and elbow injuries. His patients typically fit into two categories: young athletes and physically active people under the age of 20, who suffer acute injuries to their upper limbs; and ageing patients with more chronic conditions of pain and stiffness in their shoulders or elbows. “Nowadays people don’t slow down with age; they want to stay physically active for as long as possible. Injuries from overexertion are more common in the middle-aged, as the body doesn’t hold up like it used to. The most common injuries for this age group are sprained joints and overexertion. For young competitive athletes, the most common problems are torn muscles, ligament injuries and contusions. Fractures are fortunately less common in athletes, but may occur in contact sports or due to falls in high-speed sports,” Kainonen says. “We strive to treat most of our sports injuries non-surgically, and in fact over 90 per cent can be treated conservatively. 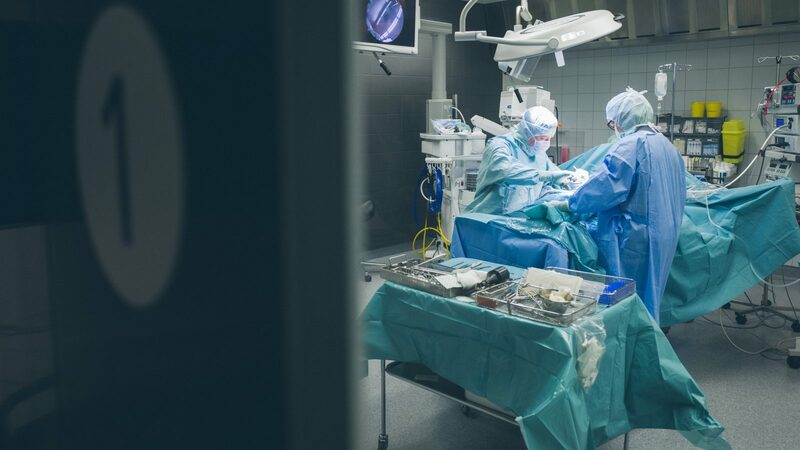 Surgery comes into the equation when we know that time, rehabilitation and rest alone won’t help, or when the patient needs to speed up the recovery process with early surgery,” explains Kainonen. Terho Kainonen was born in Turku, where he also completed his medical and surgical studies. In 1988–89, he spent close to a year in Namibia as a doctor for UN troops, who were in the country to monitor the nation’s independence and election process. Kainonen has received specialist training in the management and after-care of traumatic injuries. He worked as a trauma surgeon in the public sector from 2002 to 2008. In addition to his clinical job, he has carried out wound research at the University of Turku. “Working as an ER surgeon, I would take in accident victims coming in on stretchers, with sirens blaring, fighting for their lives. Four weeks later, I would see the same patients walking out of the hospital and heading home. Moments like that are special,” Kainonen says. What Kainonen finds particularly fascinating in studying and practising medicine is that there is always something new around the corner. “In this field, you always have to aim for the best possible patient care and make sure that the patient can’t get better treatment anywhere else. 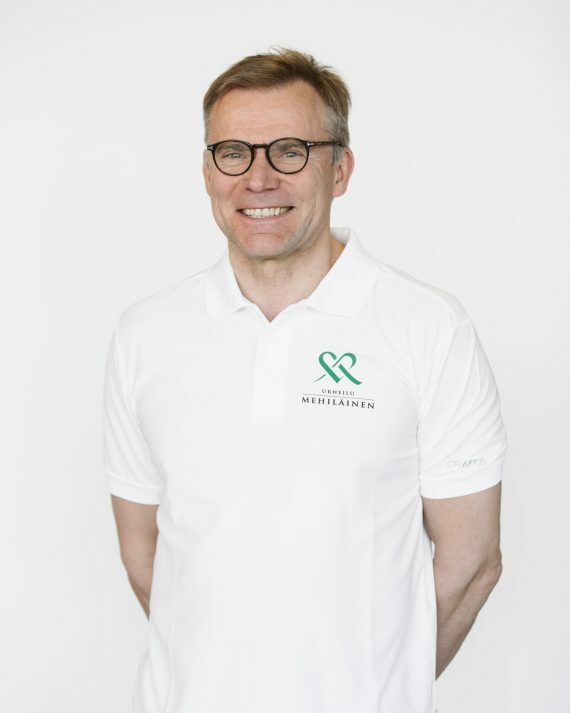 At Mehiläinen Neo Sports Hospital, we often work closely in teams of diverse specialists. That is the cornerstone of our practice. A surgeon must be humble. We must accept that not everyone can be 100% healed, because when treating an injury, it’s not just down to the medical staff: the laws of nature also come into play. In a sense, the surgeon performs a procedure that optimises nature’s chances of healing the injury,” says Kainonen.